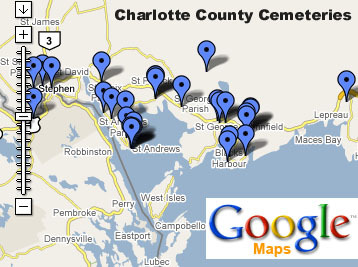 Introducing, the Heritage Charlotte Charlotte County Cemeteries Guide, courtesy of Google Maps. Through Google Maps, you can now find cemeteries quick and easy! This guide contains over two dozen cemeteries, with more locations added with each update! Pennfield Parish; Pennfield Ridge; off Route 1. Pennfield Parish; Beaver Harbour; Route 778. Pennfield Parish; Pennfield Ridge; Young Road. Pennfield Parish; Blacks Harbour; Main Street/Route 776, toward the Grand Manan Ferry. St. Andrews Parish; Town of St. Andrews; corner of Edward and Montague Streets. St. Andrews Parish; Town of St. Andrews; corner of King and Prince of Wales Streets. St. Andrews Parish; Town of St. Andrews; Parr Street. St. Andrews Parish; Town of St. Andrews; corner of Parr and Mary Streets. St. Andrews Parish; Town of St. Andrews; Cemetery Street, off Champlain Street. St. George Parish; Back Bay; off Route 172. St. George Parish; Second Falls; Route 770 north. St. George Parish; Town of St. George; corner of Main and Letete (Route 770) Streets. St. George Parish; Poor House Hill/St. George; Route 172. St. George Parish; Town of St. George; off Carleton Street. Note: Every attempt has been made to list all cemeteries in Charlotte County however smaller, private cemeteries may have been overlooked. If you are aware of a cemetery that is not listed, please contact us. 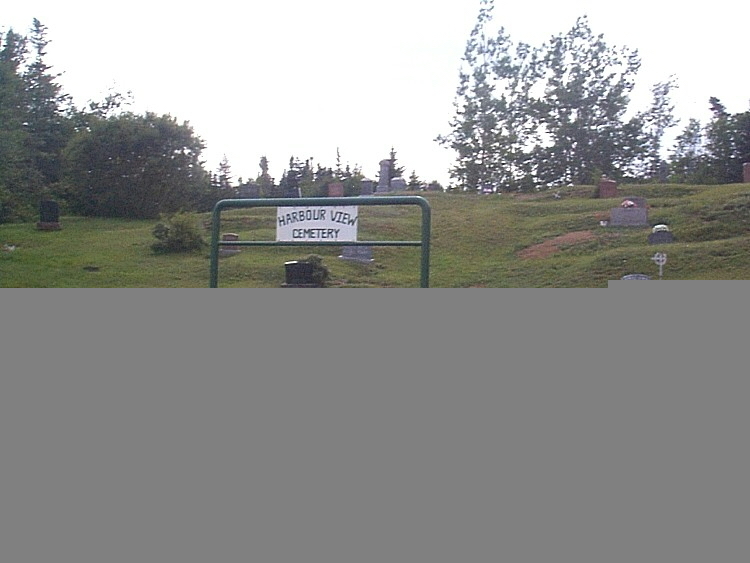 Thanks: New Brunswick Genealogical Society (Charlotte Branch) and its members, Marilyn Stout (Charlotte County GenWeb), Cal Craig, Fred Brennan, Edward Comeau, Fred Bradford, Chris Larsen, John Taylor, Gorman Harris, George Haney, Greg James (Able Monuments), Dale Young (Smet Monuments).